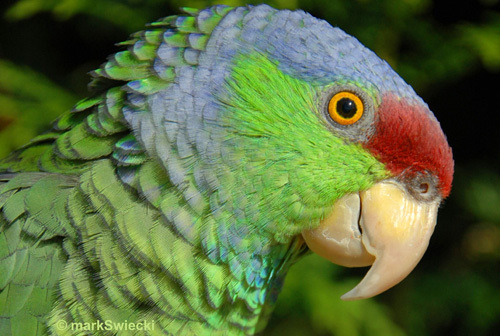 The Lilac Crowned Amazon or Finsch's Amazon is parrot native to Mexico. It can have a live span of 50+ years. The parrot is found in southwestern Mexico and in the central western areas of Mexico. Beautiful close-up really shows off the spectacular colors.